Stress, trauma and post traumatic stress disorder (PTSD) are all real things that impact the lives of heroes daily. Leaving work at work isn’t always possible and overcoming these daily hardships can be draining to heroes and those around them. However, it has become more and more common for heroes to find peace and support through animals, mainly dogs. However, one nonprofit switched it up a bit and instead of dog therapy, they offer horse therapy. Through their program, they allow heroes to gain self-esteem, improve self-awareness, decision making and leadership skills, along with improving communication with family, friends, significant others and teams. Ground-based-No riding or knowledge of horses is required. Team approach-Our EAP team includes Equine Specialists, Licensed Mental Health Professionals and our horses. Dynamic– Active group sessions provide progressive improvements and awareness. Outdoors– Escape from your schedule and experience creative problem-solving challenges or an hour of quiet with your horse; you decide. Effective– Horses stand in as powerful metaphors and will draw out the “authentic” you… It is amazing how it works. 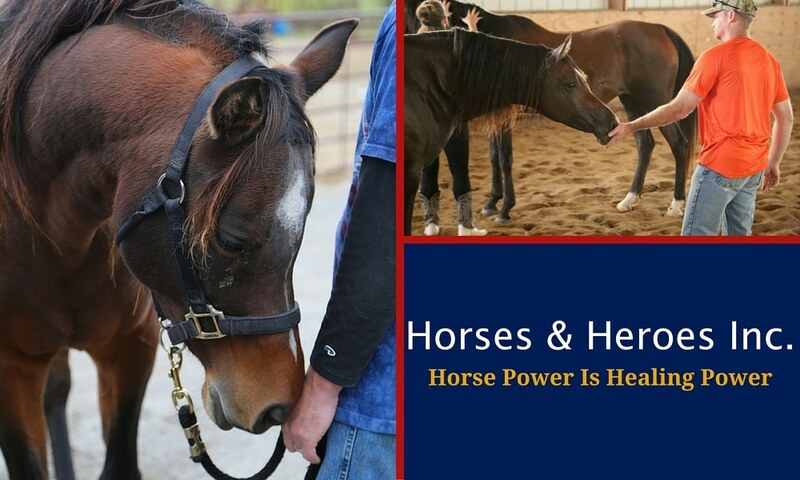 Like Homes for Heroes®, Horses & Heroes Inc. is dedicated to helping our nation’s every day heroes who do so much and put their lives on the line so the rest of us can live a happy, comfortable life. If you know a hero, or are one yourself, visit HorsesAndHeroes.org and see how they can help make a difference in your life or another hero’s life. If you are interested in donating to Horses And Heroes, click here or send your donation to 11944 W 95th St # 153 Lenexa, KS 66215.